A large multi-location hospital in the U.S. reaches out to Softek Solutions because of falling revenues and lack of visibility into its charge capture. Within the first week of operations, nearly five million dollars of lost revenue is identified, which includes around three million for orders that never posted a charge, one million in orders that were sometimes charged, and one million in batch charge entry orders. Softek’s OnTrack solution provided the visibility that was instrumental in pinpointing five million dollars in lost revenue over a three-month period. 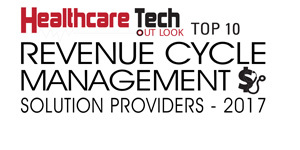 As the client implemented a true revenue cycle management (RCM) system, Softek focused on charge capture in the clinical applications. Softek’s technology delivered real-time visibility into charging irregularities along the entire order transaction process. Without visibility into the entire EHR transaction process, hospitals have no way of knowing if charging errors are causing them to lose millions of dollars in legitimate charges. According to David Fletcher, President of Softek, “The ever-increasing technological disruption in the RCM sphere has increased the complexity of the solutions in use, making it difficult for organizations to discover the charge capture or the charging issues.” Softek specializes in providing software solutions and consulting services that help customers manage this complexity – taking the mountain of data produced on a daily basis and giving customers easy access to the information they need. The firm is currently finding success among clients entering the system implementation process who desire an independent and objective view into their system throughout the testing and conversion process. To ensure revenue integrity at hospitals, Softek’s Charge Integrity Control software tracks missing charges in real time. The solution correlates patient orders and corresponding charges along the entire transaction process and then identifies configuration, process, and workflow issues that can cause charging irregularities. Additionally, Softek’s other solutions run a comprehensive audit of clinical applications and identify interface issues that prevent each financial message from coming through the external systems and reaching its destination. Taking a holistic view, OnTrack pinpoints the root cause of failure points and gives unprecedented system visibility to the revenue department. Because of its expertise in Cerner’s unique multi-tier architecture, Softek has focused on optimizing the Cerner Millennium EHR system. Collectively, the OnTrack development and client support teams have decades of experience in Cerner Millennium development, implementation, and management. “Our technology shows the objective data on how a hospital is interacting with their uniquely designed system to assist them in implementing their build and workflow,” says Fletcher. Furthermore, through OnTrack University, Softek’s experts provide clients with a greater understanding of their system’s configurability and its problems, along with recommendations for reliable system performance. Softek has served the industry for more than two decades with highly competent people and technology to optimize EHR system performance and revenue integrity. The firm fosters a healthy work culture through its focus on understanding what its clients need to succeed in the healthcare arena. The Prairie Village, KS-based firm sets its eyes on the future with a particular emphasis on developing more applications to simplify RCM before, during, and after implementation.